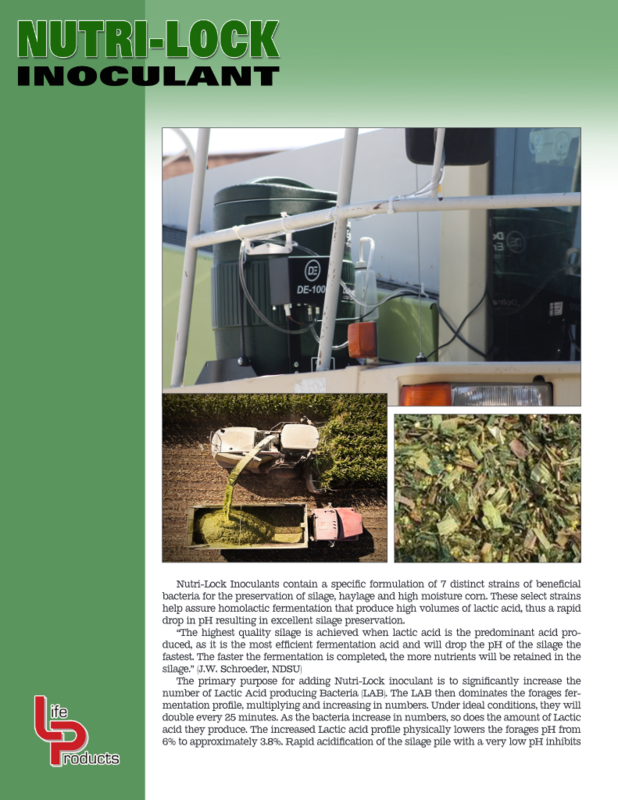 The primary purpose for adding Nutri-Lock inoculant is to significantly increase the number of Lactic Acid producing Bacteria (LAB). The LAB then dominates the forages fer­mentation profile, multiplying and increasing in numbers. Under ideal conditions, they will double every 25 minutes. As the bacteria increase in numbers, so does the amount of Lactic acid they produce. The increased Lactic acid profile physically lowers the forages pH from 6% to approximately 3.8%. 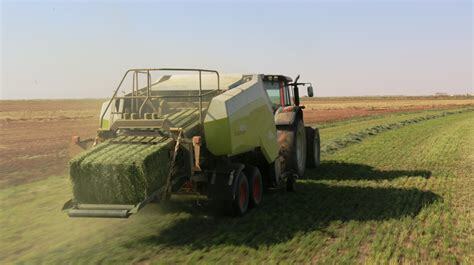 Rapid acidification of the silage pile with a very low pH inhibits the proliferation of pH sensitive yeast, molds and bacillus (spoilage bacteria). Additionally the lower pH environment also reduces the activity of enzymes that break down proteins in the feed. Proteins can be reduced to amino acids as well as free ammonia and amines. Without proper inoculation, up to 50% of the total plant protein could be broken down. 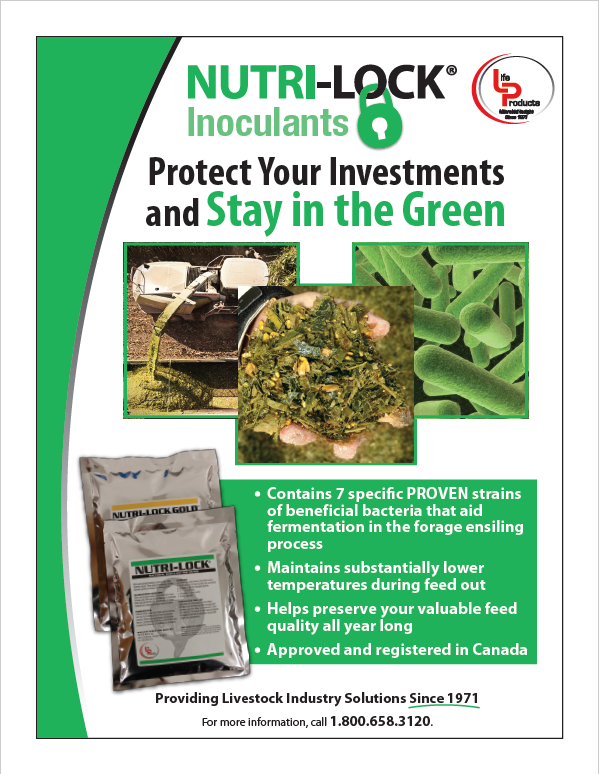 Inoculation with Nutri-Lock helps provide a controlled fermentation resulting in nutrient retention with less heating and spoiling of the crop. The type and amount of acids produced during com silage storage help and can give a complete fermentation picture, says Charles Stallings; extension dairy nutritionist at Virginia Tech. Ammonia nitrogen can give an idea if excessive protein is broken down during storage. Yeast and molds can indicate adverse biological processes that can lead to poor-quality silage. Below is a fermentation profile of well-fermented corn silage. DISCLAIMER OF WARRANTY: The Vit-E-Men Co. Inc. warrants that the product conforms to the label description. Liability of seller shall be limited to the purchase price of the product, which shall be the buyer’s sole remedy. A Nebraska based agricultural company, has been manufacturing animal probiotics, forage inoculants and livestock health products since 1971. We have been meeting the industries needs with quality, innovative products for livestock backgrounders, cattle feed yards, cow/calf operations, dairy operations, equine, swine, poultry, small ruminants, companion animals, and aquaculture. ©Copyright Vit-E-Men Company. All Rights Reserved.